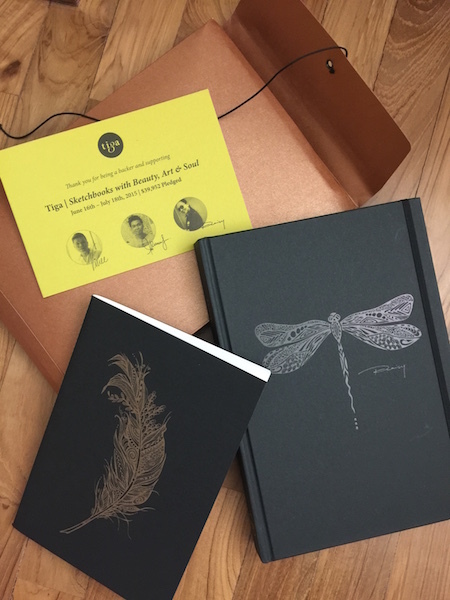 The Tiga sketchbook is A5 sized (5.8" x 8.3", 14.7cm x ), has a hardcover, and has a unique sketch hot stamped in black foil on the front. On the spine is the artist's name (in this case, it's "Peisy Ting") stamped in black foil... 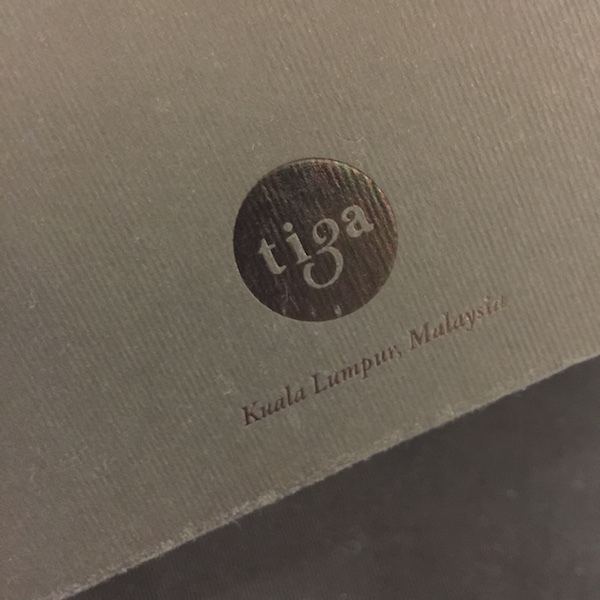 Along with the tiga logo in gold foil, and on the back cover is the tiga logo in black foil. Inside are eight sketches by the respective artist printed in various ink colours on various coloured papers. 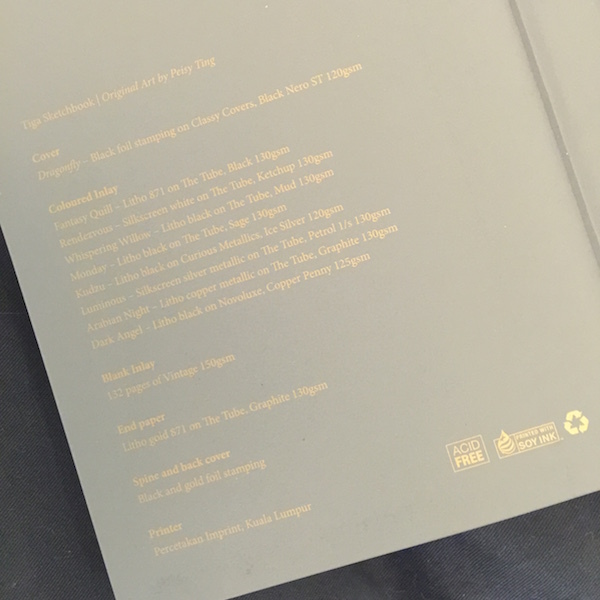 The remaining 128 blank inlay pages are made from eco-friendly FSC certified 150gsm Italian paper. 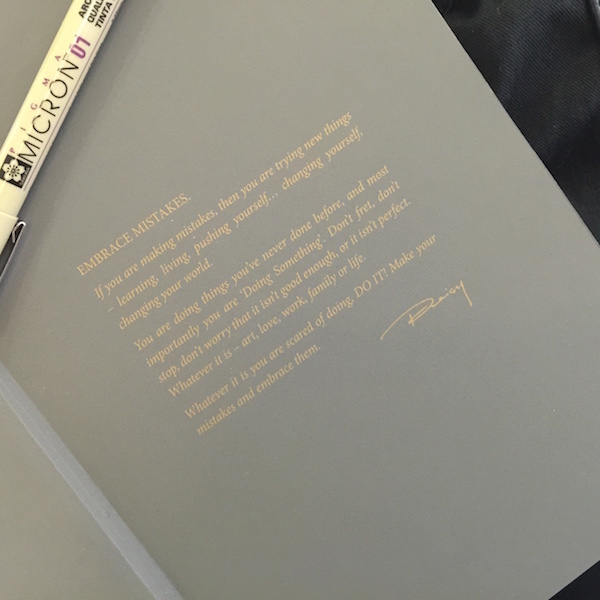 There's also an expandable pocket sleeve inside the back cover, a black elastic that keeps the sketchbook closed when not in use, and a silver cloth bookmark. 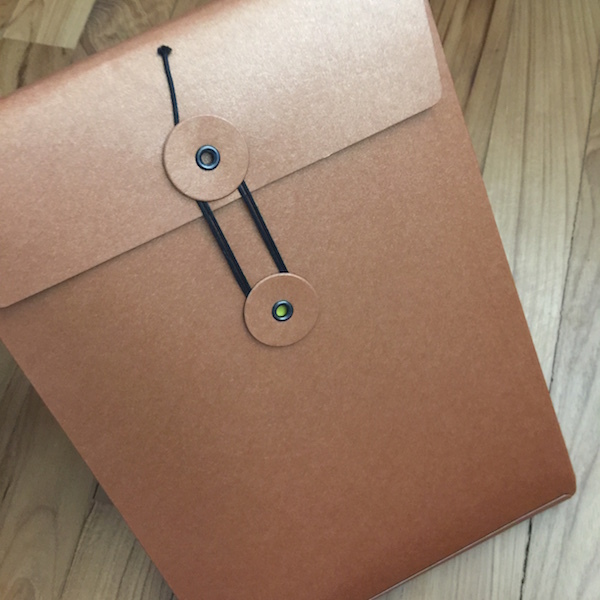 I still remember the sketchbook being packaged beautifully when it first arrived at my doorstep. 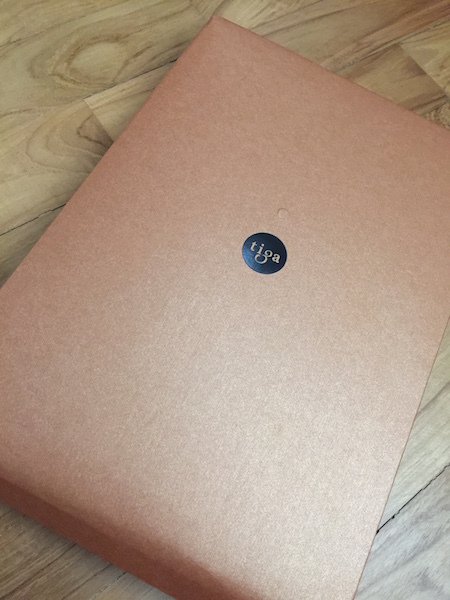 A copper toned wrapping with the Tiga logo printed on it. I also bought a notebook (that I haven't used). The little yellow card is a thank you note from the artists. The short foreword by Peisy. And the back that shows what papers were used. The logo printed on the back of the sketchbook. And of course I'm going to show you what I've drawn in this sketchbook. This is a long over-dued video. I had filmed one part of the video in FEBRUARY... Can you believe it? Gold medal for procrastination goes to me. Woop woop! I'm already at the three quarter mark of my current sketchbook, so I'm probably going to be making a flip-through video of my current sketchbook soon. :) I was embarrassed whilst editing the video, so I think I've definitely improved in Art... Ahhh~ My new sketchbook is filled with a lot more better drawings than this one. The sketchbook doesn't take watercolours very well. There's a lot of buckling even with just light washes. Coloured pencils are difficult to lay down too as the paper is too smooth. Basically, it has almost no tooth, which is great for pen and ink. After your ink completely dries, the paper holds it very well. I also like how you get a blank coloured page to draw on with each new "section" of the sketchbook. The pages with the artist's drawings also give you an extra boost of inspiration when you need it. I love the concept of it. I bring my sketchbook out everywhere with me, so it has held up really well to the amount of abuse use I've given it. The elastic band is still really tight. The cover is a little banged up on the edges but it's holding up well and doesn't feel like it's going to fall apart or anything like that. And none of the pages have fallen out. Would I buy it again? Yes, if they featured new artists.